Over the past few years I’ve been playing over this bizarre situation in my mind; two assassins who take a little girl for a milkshake. 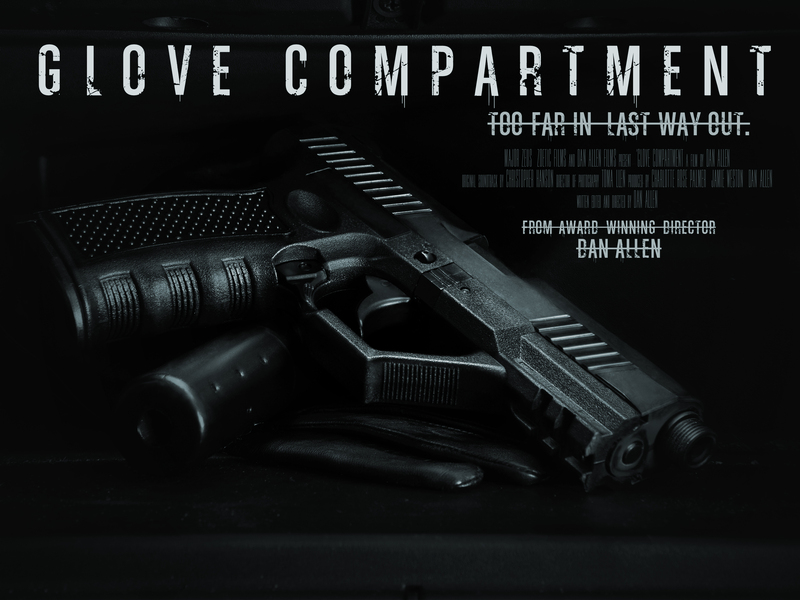 Fast-forward to 2014 I I’ve just finished principle photography for my 16th Short Film since 2009, ‘Glove Compartment’. ‘Glove Compartment’ is an exciting new thriller which follows two assassins who decide the fate of their targets daughter, over a milkshake. Long-term hitman Frankie takes untrained killer Jacob under his wing for his latest instruction, but Jacob’s psychotic tendencies lead him to taking the daughter of their targets captive. When Jacob insists on treating the young girl to a milkshake, the whole series of events threaten to unravel Frankie’s humility and psychology barriers, which hold the past at bay and have allowed him to become so successful at his profession. Just before christmas I started to explore this central situation and question the kinds of characters that would organically evoke such a situation. Having recently read a lot into story structure and character evolution I wanted that to be a key part of my new film; I needed a sense of development for both character and plot. I thus spent the christmas period writing and re-writing until I got it right. I was lucky enough that the the script excited Jamie Weston, who Co-Produced my previous short ‘Audition’ and Charlotte Palmer, both whom agreed to come on as Producers for the film. Actors Jon Campling (Harry Potter, Sleeping Dogs) and Andrew Coppin (Karen’s Room, Four for a Boy) came onboard the project quite early on, both being interested in the project it was great to have two such talented actors involved. Although not my first time working with children, the incredibly talented Libby was a joy to work with. So natural and precocious, easily slotting into such a dark-themed film. I’ll be posting lots of behind the scenes pictures on my Facebook page http://facebook.com/danallenfilms over the coming months. The shoot itself was incredibly tense, as we essentially shot a five-day-shoot into three days; difficult but we made it. Theres one more scene to shoot for the film with an entirely different cast so we will be attacking it like it is its own production and we are also looking into film, namely super 8 as a shooting medium which will make sense as I share more details eventually. Trailer coming soon. Post is going swell.